Thanks Dave that is what I thought. I just wanted to confirm. I blasted my original fan blade and will get it zink plated as well. Your upper Rad hose looks different than most that I have seen. I know Jeff is the guy to go to for the best hoses and clamps. Thanks for confirming. thanks David I think we are on the same page now. It looks like it is parallel to the frame in your more recent pics which is different then the AIM, so I am surprised they subtracted points for that. BUT it seems the way you have it now is the way some originals are being found. Austin, You are referring to the 69 AIM, UPC N10, Sheet A2 shown below? If so, it's not real clear to me how the heat riser goes on. Do you have any other pages that show it better? I took a close-up picture this morning of my car's heat riser. 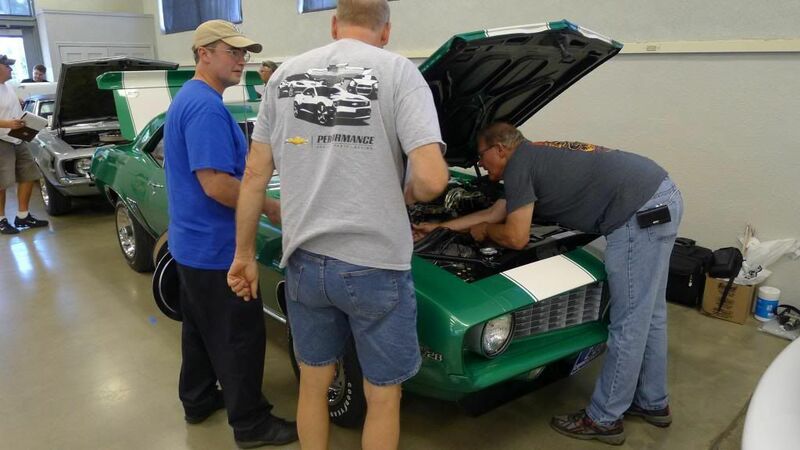 A friend of mine has a 68 Camaro with a 327 that his Dad bought new in 1968. He told me at least twice, before the Camaro Nationals, that I had it on backwards but I didn't take his advice. When I added his advice plus the deduction, I decided to change it around. Unless I have hard documentation to prove otherwise, I'm leaving it this way. JohnZ's original car also has it oriented to match the AIM.. which was consistent with your original position.. Did you ask for clarification when you lost points on it? Was the lost points for the heat riser itself, OR it's orientation only? Compared to UPC-6, sheet C6, I took it from being correct to being not correct. Crud. The heat riser is going to have more miles on it than the car. LOL. The deduction was 1 point. 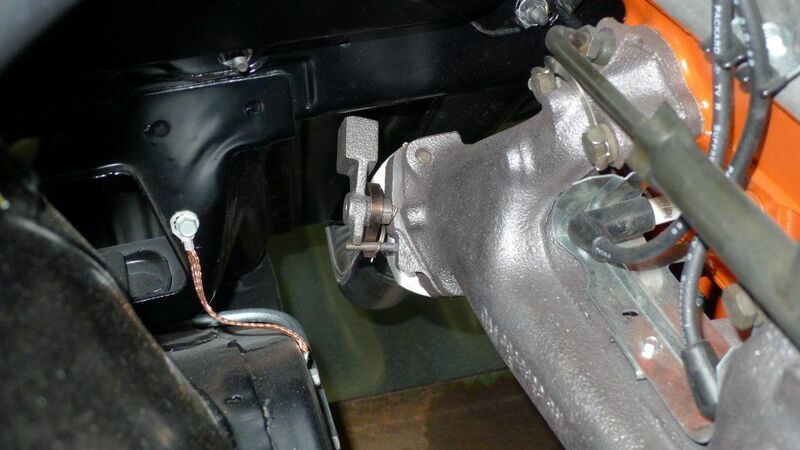 Under "Exhaust Manifolds"........"Heat riser in wrong position". I didn't see this judging info until after judging was done. There was a lot of judging going on at the same time. Here is a magazine photo of a 1968 Z28 test vehicle and you can see the heat riser. That is a GREAT pic Jerry!!! 69 AIM UPC-6, sheet C6 + JohnZ's car + 68 Magazine pic equals the heat riser goes the other way. What magazine was the picture in? Also, what is the month and year of the magazine? 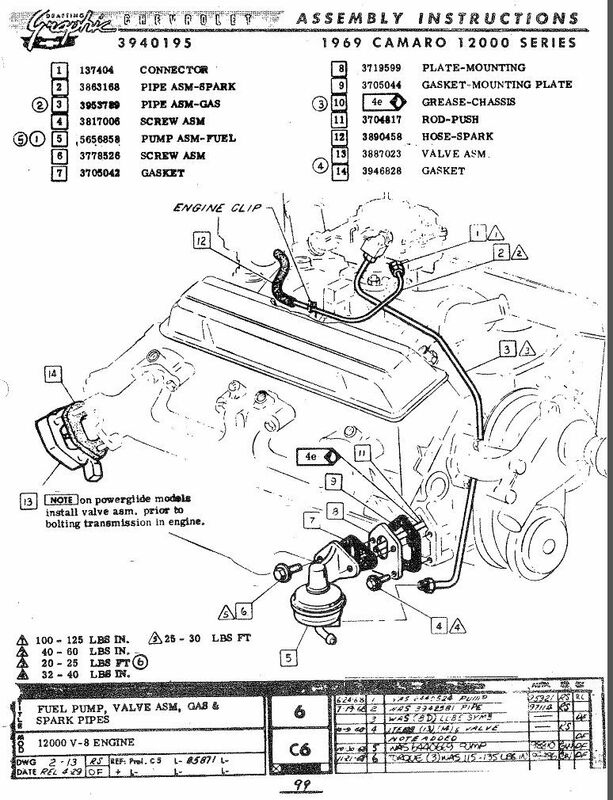 My car had headers on it when I purchased it in '76 (which is probably true of 99.9% of early Z28s. 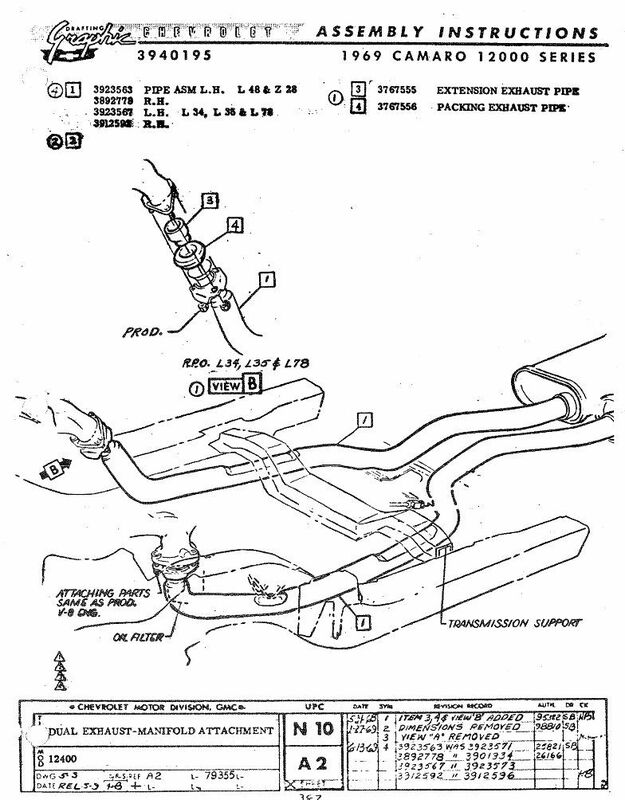 I do have a set of very nice original exhaust manifolds that I will be installing (1st day take offs from a friend's TransAm car), but I didn't get the heat riser with them, so I'm trying to figure it out myself. From the discussion to date, we do not seem to have a consensus as yet. 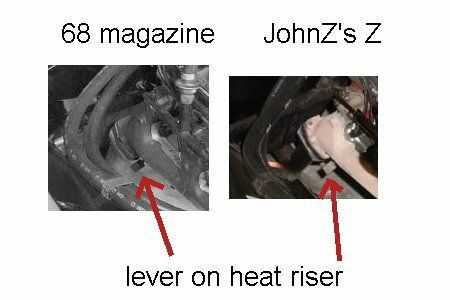 Personally I prefer the 'underneath' position that matches JOhnZ's car, the '68 magazine pix, and the AIM, assuming it doesn't interfere with anything, because that orientation seems to be a more 'neutral' position of the weight wrt gravity, and it's more out of the way. Went back and checked some notes with that photo....was quoting from memory before...and the notes said that it was from some prior post by Jerry M. that originally came from the GM archives. 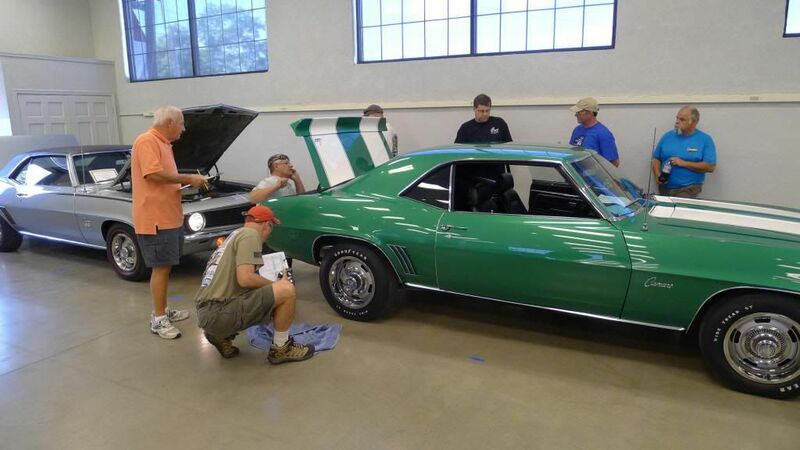 I saved it because it was a very clear underhood photo of a 1968 Z28 and that is what I own. Great shot of the factory PTB stamps. Although faint even when new, they do appear quite crisp and clear. Now, where have I seen that photo before? It looks like it was posted on Camaros.net back in 2007. 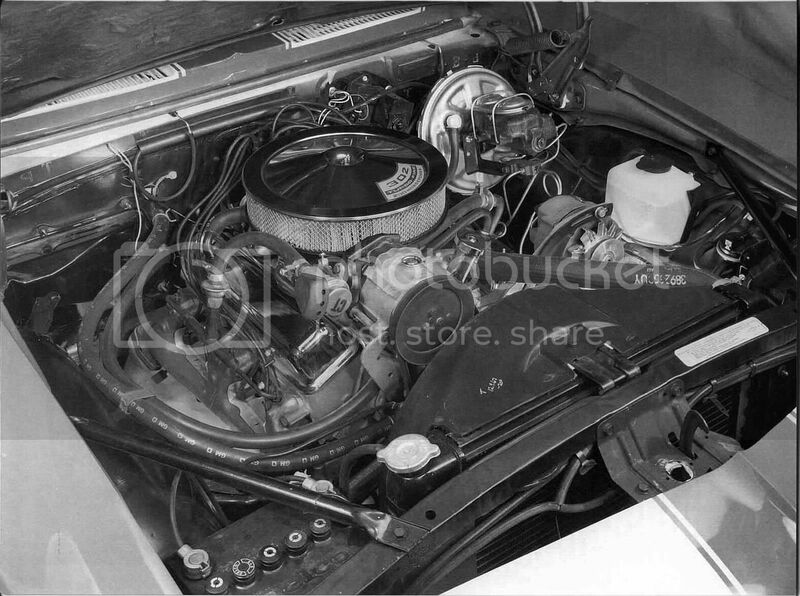 169Indy wrote: "I have a GM photo, copy (SCANNED) of the 68 Z28 engine bay photo that was printed in the Camaro Enthusiast a few years ago and rarely see people reference it with regards to details. Appears to be a Norwood car as evidence by the PTB stampings." Ed Bertrand posted the picture for 169Indy. Anyone else notice the grease pencil mark on the firewall above the top heater hose? SO? SQ 5O? Yes I noticed that as well. Didn't Lloyds car have the same marking?